All Fur III, 2011–2014. Gouache and chalk pastel on paper 22 x 30 inches. 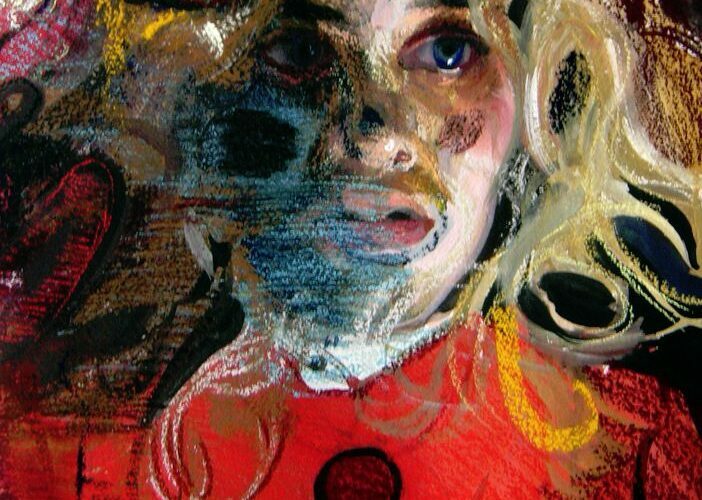 Natalie Frank is a bright, energetic, and exceptionally amicable artist. Her work is the antithesis—dark, mucky, and unnerving and the project she began about four years ago, illustrating and interpreting the tales of the Brothers Grimm, is a curiously complex undertaking. The project has manifested itself in two forms: first, in the publishing of an art book, and second, in an exhibition at the Drawing Center of New York that comes to the Blanton Museum of Art July 11-Nov. 15. For example, Cinderella, in the story’s original telling, has neither Fairy Godmother nor glass slipper and the stepsisters nearly get away with marrying the prince by cutting off parts of their feet to fit into the golden slipper. It is only when the prince sees the blood soaking through their stockings that he rejects the false brides. 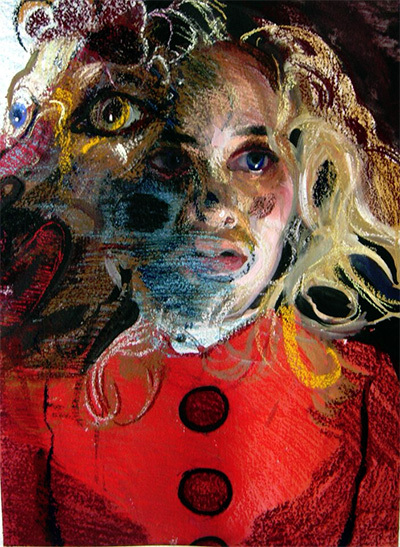 With recent publications of translations of the original unabridged Tales of The Brothers Grimm, knowledge of the violent, obscene, and crude nature of the stories may become more common, but it is the lesser-known tales which are of particular interest to Frank, as she reveals through her paintings. She isn’t afraid of what they mean—she thinks them sharp, conveying a kind of proto-feminist trope that smartly rebels against the circumstances women were stuck within at the time of their writing. Little Red Cap I, 2011–2014 Gouache and chalk pastel on paper 22 x 30 inches. The book portion of Frank’s Brothers Grimm project was carefully put together with scholars, other artists and designers and features her personal selections of specific tales and their accompanying drawings. 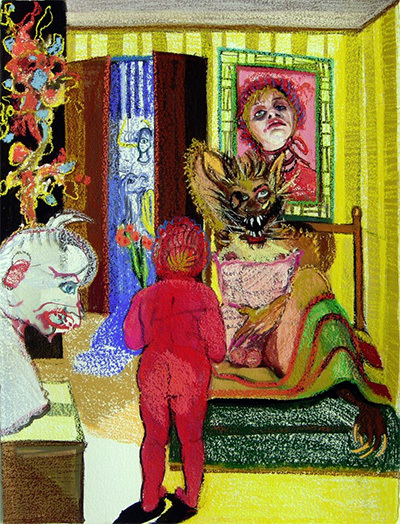 Frank’s drawings of these stories interpret them as they are, complete with viciously garish colors, carnival-like portraiture, and layers of ghostly scenes. Each of the tales she selected was given a splendid treatment, the text preciously surrounded by borders and paintings of scenes from the story, symbols of the moral implications and little decorations. It feels like one of those luxurious storybooks we treasure as children, with hard binding, the thickest paper and the prettiest illustrations, except here the beauty is subversive. Peppered throughout the pages are gilded flies, as if to smartly highlight how base everything really is. Frank’s interest in the Brothers Grimm seems like a natural transition from her large-scale allegorical paintings—swirling with sexual violence, gendered power structures, and unnerving scenes of forced vulnerability. 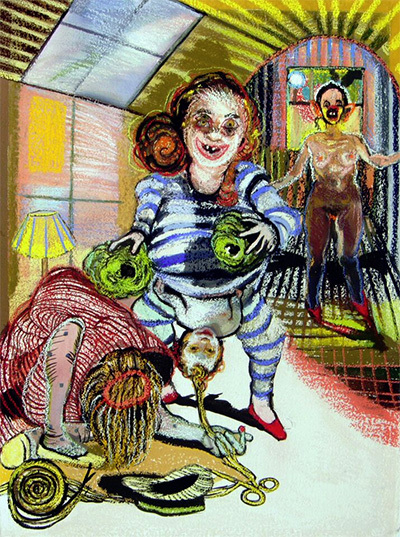 She found inspiration for the project from her friend and fellow artist Paula Rego, who nudged her in the direction of reading and thinking about the tales, something she initially undertook entirely for her personal pleasure. The result has been a deep fascination in the world of the Tales of The Brothers Grimm that has yielded an immensely enthralling collection of work and prompted plans to continue the project with illustrations of other, similar collections of fairy tales, myths and folklore in the near future. The Blanton is curating the show to include wall texts and a special arrangement of 1-5 drawings per story. The exhibition will be an expansion of the show from the NY Drawing Center, showing even more work. 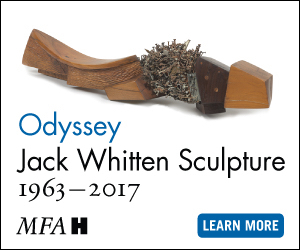 In conjunction with the exhibition, public programs have been organized including an opportunity to hear Frank speak about the drawings on Saturday, July 11 at 3 PM with Blanton curator Veronica Roberts.